Home-based vegan bakery selling a diverse range of delicious vegan cakes of excellent quality. Sets up stalls at various locations across Barnsley. At Brown’s Greens we can offer a range of outside catering options to suit your needs. We can work with you on you menus, for hot and/or cold food and be flexible with pricing to create you a truly delicious and balanced menu. Examples of our outside catering include office functions, weddings, christenings and family parties. We can cater for as much or as little as you need in a flexible way. You can also hire our venue for private functions with catering. Let the Dandelion and Burdock team cater your wedding, conference, birthday party or indeed any occasion you wish to celebrate. You choose the venue and we will provide you with an unforgettable service. Whether you are looking for a formal sit down occasion or informal buffet or anything in-between, let us satisfy your needs. We can also offer cookery classes. Mad Hatter's Pantry is a totally vegan bakery, specialising in custom orders and attending the occasional market. All products are dairy-free and egg-free, and can be tailored to cater for other dietary requirements on request. I specialize in decadent ''I can't believe they're vegan!'' cupcakes, layer cakes and sweet treats, all handmade in Sheffield. All cakes are egg and dairy free as standard and can also be gluten, nut and soy free on request. Artisan caterers freshly cooking spicy street food of exceptional quality for you at markets and events throughout the UK. In our lovely vintage Peugeot J7 van, Franny the Veggie Vanny, we are easily installed, entirely self-contained, and very beautiful! We offer both Private Catering & Event Catering, everything from street food markets to wedding banquets and buffets. We can cater for large public events throughout the year in Yorkshire and Lancashire. We are a micro-bakery and cake shop in the village of Mytholmroyd, West Yorkshire, making delicious cakes, cheesecakes, and more, all dairy-free and vegan-friendly. All our creations are suitable for vegans and those on a dairy-free diet, as they are made without any eggs or dairy. Our cheesecakes are gluten free, too. Choose from our range of delicious, dairy free, vegan cakes, and we will post one to you (UK mainland only). You can also order a cake for collection from our shop in Mytholmroyd. If you have a special request, just get in touch. All our food is vegetarian-and-vegan-friendly. We serve traditional favourites, but entirely plant-based, so everything is suitable for those who don't eat dairy, eggs, meat or fish, as well as for those who do. All our dishes are hand made and freshly prepared to order. We offer private catering for up to 50 people, with up to a three-course meal, including dessert. We can do simple soup lunches, pie/quiche and salads, cakes, sandwich lunches. The cafe is run by a former event management professional, and as such we are also able to assist with venue sourcing, decoration, event staffing, party clean-up and organisational support. 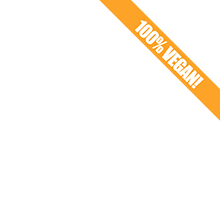 100% VEGAN FOOD AND COFFEE. ALT. is a fully vegan cafe/bistro and small bakery. We can cater for events of any size and can assure you that we never use our kitchen for any meat/dairy/eggs. We offer a catering service for buffet style occasions outside of the café, including parties, meetings, weddings, etc. We are happy to give you a quotation for a more extensive buffet for a special occasion, either delivered or provided in the cafe for an evening function. We are a small sandwich shop and deli on Abbeydale Road, serving up freshly made, tasty veggie and vegan treats. You can see our full menu on our website, and see our daily specials on our FB page. We also offer outside catering for up to 50 people. Our past events have included birthday parties, charity events, staff picnics, baptisms, garden parties and yoga retreats. We offer a friendly, flexible service and good prices.